Its almost here... The #android wearable that we all have been waiting for. 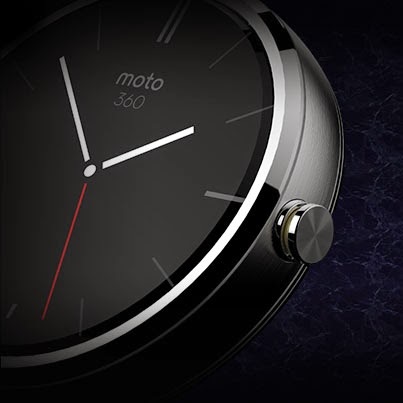 The +Motorola Mobility #Moto360 promises to put all its competitors to shame. The Moto360 is one of the few androidwear devices that will be available this year. Currently its the only one that has been announced around Google I/O that you still cant purchase. It is clearly the best looking of the devices and it has a circular display that sets it apart from the smart watches of the past. There is currently no release date for the Moto360, but we did get a window of summer 2014 during Google I/O. Motorola has sent out invites to some media outlets for an event that they are holding in Chicago on September 4th. It is rumored that they Moto360 as well as other devices will be unveiled then. My guess is that you will be able to order the Moto 360 come September 4th 2014, and it will retail $249.99. They may also unveil the successor to the Moto X during that Chicago event as well.